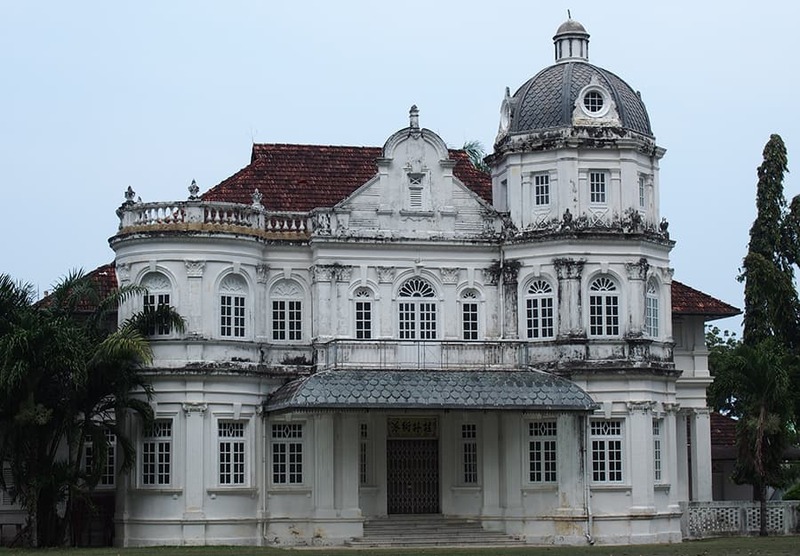 Why Georgetown Penang felt inspiring? 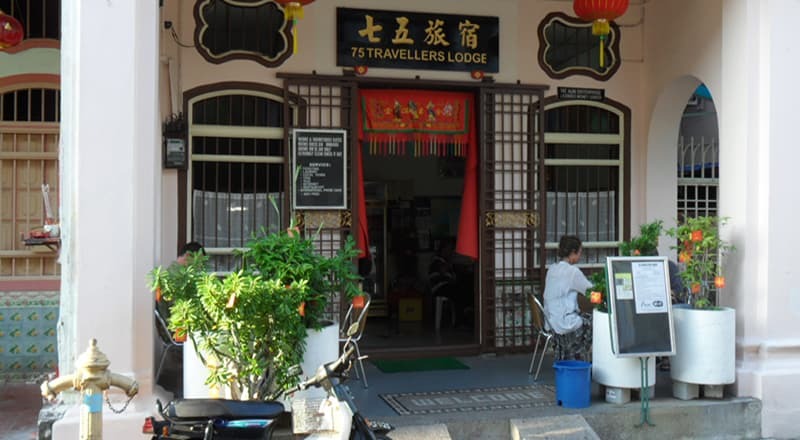 While my initial impressions of Georgetown Penang were bad, due to a few bad experiences, I was soon very much charmed by the place in general. (I travel with my wife and toddler.) We had a bad experience in the first hotel that we stayed in. Georgetown is one of best cities that I came across in South East Asia for Digital Nomads. Only Chaing Mai in Thailand and Phnom Penh in Cambodia are better in my view. There are many choices of cafes to work in and the internet speed averages 15MB per second. Something about Georgetown inspired me to be more creative and productive than usual. I worked everyday in a cafe two doors up from 75 Travellers Lodge, called W & O Cafe. This cafe appears to be targeting Digital Nomads as every table has it's own double power socket. This post gives a list of cafes in Georgetown, Penang. 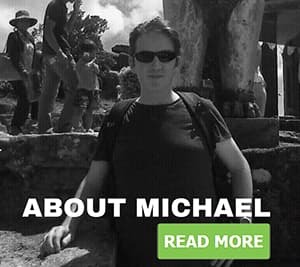 I have used the recommendations of this blog (Nomadic Notes) on a few occasions and have never been disappointed. 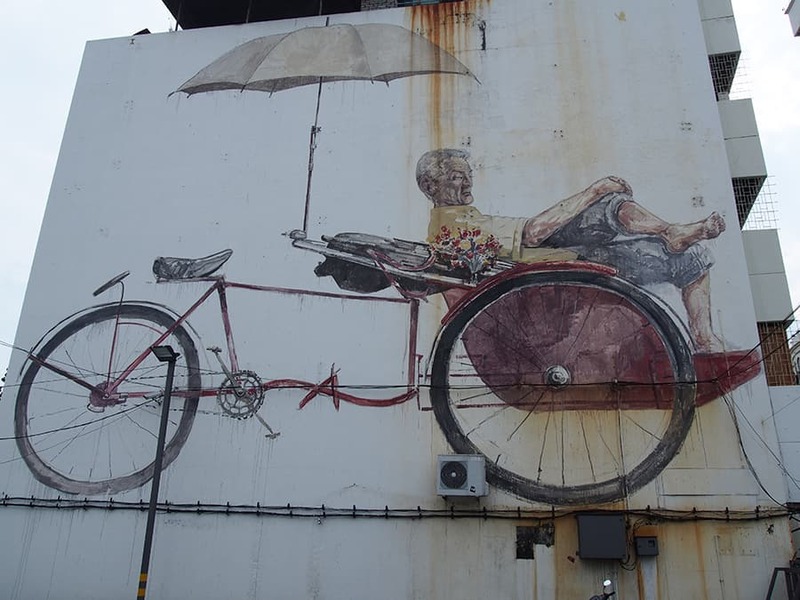 All over the centre of Penang, there mural on the streets, mainly on abandoned or dilapidated buildings. Some of them look real. Sometimes the artist fuses part in the building into the mural. 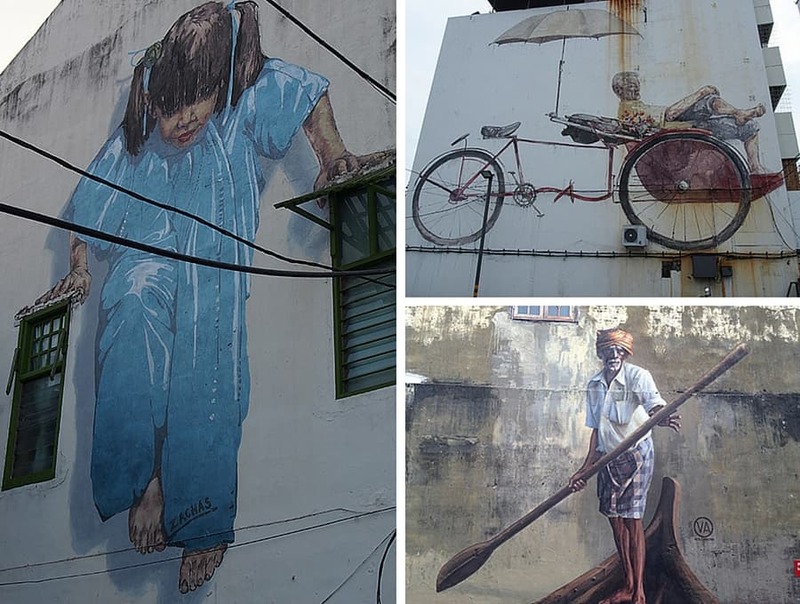 These were painted by a Lithuanian artist called Ernest Zacharevic in conjunction with the Malaysian Tourist Board. Download this PDF to find the precise location of the murals. There are 24 in total. As I said I few times earlier we staying most of time that we were in Georgetown in 75 Travellers Lodge. It costs 75 Ringgit (€18/$20) for an air-conditioned, double bed, ensuite room. 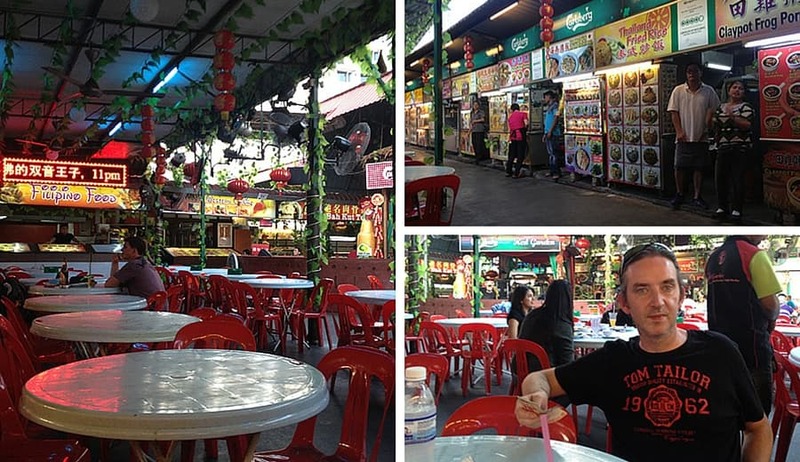 It is in a good location on Muntri Street, walking distance to many restaurants, cafes, and an excellent night market, Red Garden Food Paradise is only a 5 min walk away. The staff were very friendly and helpful. The night reception was very funny. When he heard that I was Irish, he started speaking a little Gaelic to me and then he was eager to learn more Gaelic phases. They arranged our bus back to Thailand. The only minor problem was that the Wifi was very patchy in the room but it worked perfect in the lobby. 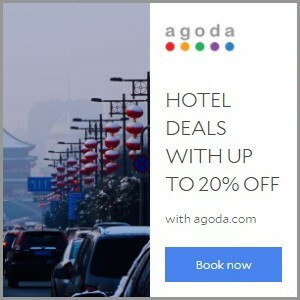 Or if you wish search for more hotels in Penang here. We ate here most evenings. This is huge indoor food emporium with over 30 different restaurants, serving all kinds of food, Malay, Chinese, Indian, Western food, Filipino and Thai. You simply order your food, tell the server your table number and they will bring your dish when it is ready. When you first sit at your table another server will come to you immediately with a drinks menu. There are TV screens showing mainly English Premier League football. Alcohol is very expensive in Malaysia but here you can some of the cheapest beers in Malaysia. An Indian curry including rice and naan bread will only set you back €6/$7. We only came here when on a visa run from Thailand. On the first occasion we stayed for two weeks and the second time we stayed for one week. We never intended to stay there for 3 weeks. So I can honestly say that Georgetown, Penang is one of my favourite cities in the world and by far my favourite city in South East Asia. So I can’t wait until I’m back again. spot on penang. best place on planet. 75 also. Yep, Jim! It’s a really good place and I can’t wait to get back there. 75 best guest house in best destination. love penang more than you even. go every year for 25 now. again soon.